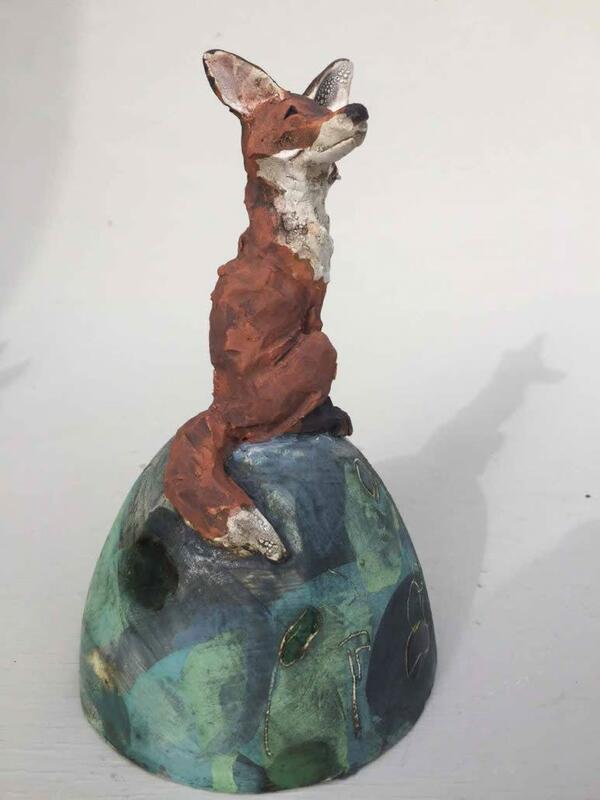 Christine Cummings began making animals whilst studying ceramics at Lancashire Polytechnic. To begin with Christine’s interest lay purely with the study of pigs, spending many hours at agricultural shows in the rare breed’s tent. Although Christine continues to be captivated by pigs and still produces new pieces her interest in the natural world has inspired her to produce other animals both domesticated and wild, including dogs, cats, hares, foxes and cows. Christine states that ‘Sketching from life is a very big part of my work making me study the subject at great length. My source material for my sculpture is never far away - a cow in a field, a scratching chicken, or a dog racing down the street’. All of Christine’s pieces are hand crafted in earth stone clay being finished by her own unique method of either Raku or smoke firing. Christine Cummings is regarded as one of the finest ceramic sculptors and her work is collected throughout the United Kingdom and Europe.